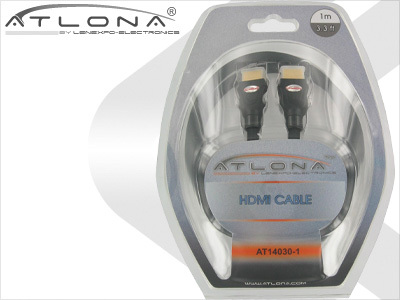 Atlona’s 3ft HDMI premium cables deliver perfect 1080p signal to your HD display. 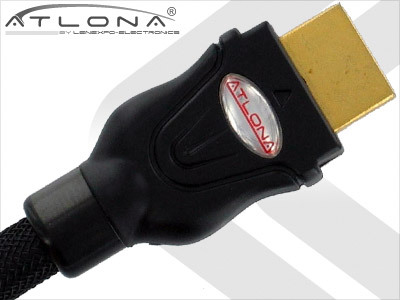 The Atlona 3ft HDMI cable is designed to ensure perfect transfer of digital video and multi-channel audio signal from source to display. These cables are built using the highest standards and materials available. From our gold plated connectors to our Oxygen free copper conductors, every inch of this cable is designed to maximize conductivity. Our superior High-Density triple shielding technology will reject EM and RF interference, while pressure form molded connectors will ensure a tight grip. 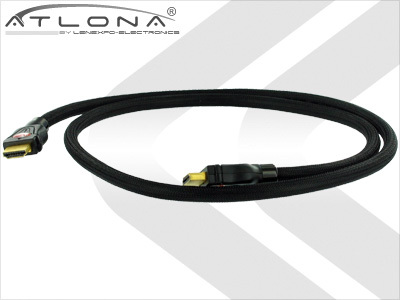 This cable is also CL2 Rated for professional in-wall applications and installation. If you are looking to get the best HD signal to your Display, look no further.